Use as a skirt. Protects Floors from water and scratches. After Christmas simply pull bag over tree. 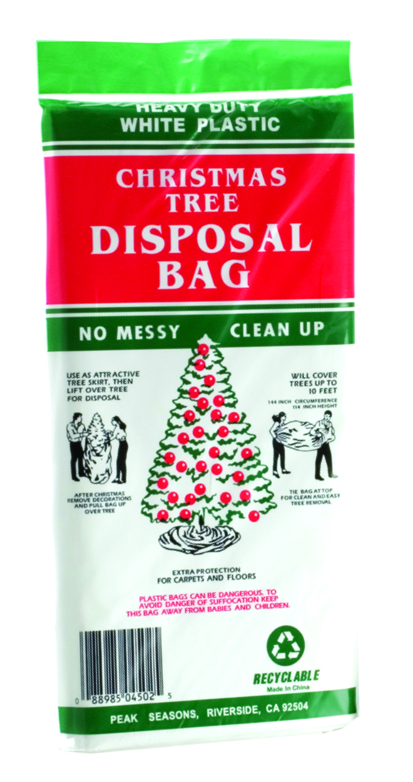 Carry tree to trash and dispose without messy needle fall-out. 36 per counter display, $1.50 each.